Member One recently donated $2,500 to Children’s Miracle Network in Roanoke, Virginia. The donation was the result of the credit union’s recent Skip A Pay for charity income. 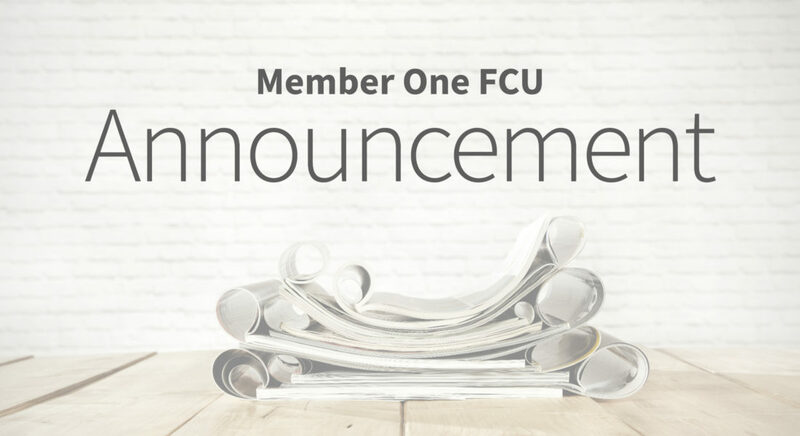 During certain times throughout the year, specifically during the holidays or summer travel times, the credit union allows its members to pay a small fee in exchange for skipping one loan payment to free up money for other important expenses. Member One used part of the fee to raise money for Children’s Miracle Network. 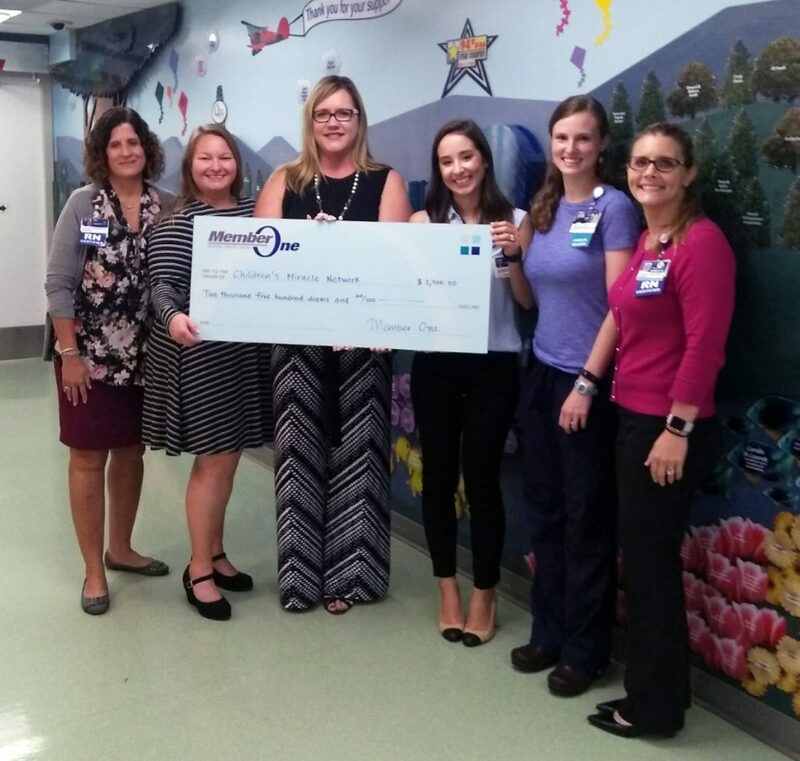 “The tremendous outpouring of support we have received from Member One Federal Credit Union is absolutely amazing,” said Erin Henderson, Program Director for Children’s Miracle Network Hospitals at Carilion Children’s. “To work with an organization that truly rallies together in the fight for healthy children is phenomenal, and Children's Miracle Network is humbled by the generosity and continued participation of Member One Federal Credit Union." Children’s Miracle Network Hospitals provide lifesaving medical equipment and services for the neonatal intensive care unit and pediatric units at Carilion Children’s Hospital. Each year, over 5,500 hospitalized children and 29,000 children visiting one of Carilion Children’s 17 specialty outpatient clinics will benefit from the resources provided by Children’s Miracle Network Hospitals. The hallmark of Children’s Miracle Network Hospitals is that 100 percent of the funds they raise remain local and enable them to provide miracles of health and healing for babies and children in the Roanoke area. From left: Lia Boggs, Carilion Children’s; Megan Wade, Member One Public Relations and Community Relations Coordinator; Andrea Milliron, Member One Vice President, Market Relationship Manager; Erin Henderson, Program Director for Children’s Miracle Network Hospitals; Sarah Kress, Lead Certified Child Life Specialist Carilion Children’s; and Karrie Wills, Carilion Children’s.